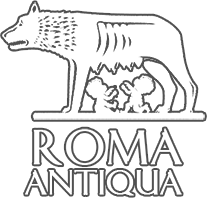 The outskirts of via Tuscolana still save the ruins of three acqueducts : the earliest and most impressive, is the Acqua Marcia (Quintus Marcius Rex 144 BC), 91 KM long, than the Claudian acqueduct (41-54) and the latter, completed under Pope Sixtus V, is Felix (1585-1589). Some great arches are still visible, almost completely embedded in urban structures, as well as the ruins of medieval houses and the large stones of Roman roads, perhaps part of a necropolis, as recent excavations have revealed a grat number of tombs. The original building dates back mid- 500’s, two centuries later it was embedded in Villa Poniatowsky, owned by the Polony king’s nephew and was restored in 1818: three floors and a lodge facing on a beautiful italian style garden. Family matters forced Poniatowsky to give the Casina to his friend Luigi Vagnuzzi who modified the building in a wonderful country residence with an english style garden. 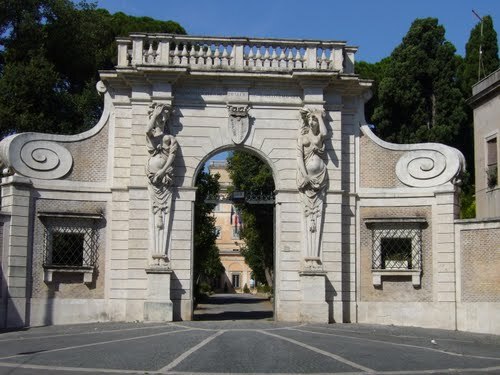 After many ownership changings the Casina Vagnuzzi belongs to the City of Rome which has assigned it to the Accademia Filarmonica Romana in 1960 including the beautiful park extending to the Monti Parioli foothill. The building of the Palace, started in 1575 and lasted about a century. Among the architects that worked over the project during the years, Francesco Borromini made the most significant parts of the complex: the façade, the library ant the clocktower. 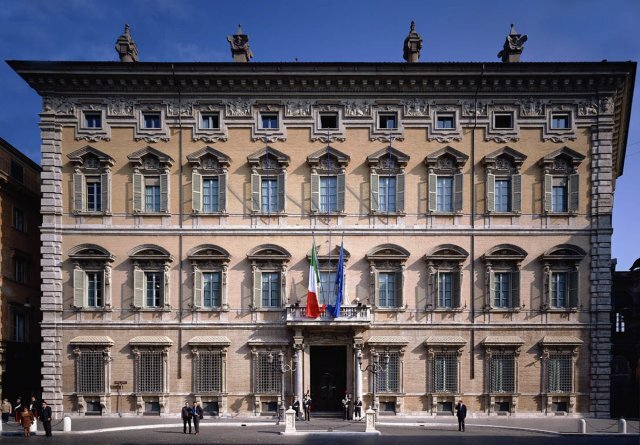 A wing of the building is occupied by Fathers Filipinos, while the rest of the Palace is the site of various cultural institutions such as the Institute of Historical Italian Middle Age, the Capitol Historical Archive, and the Vallicelliana Library, designed by Borromini. The Villa, located on Celio Hill, was purchased along with its large park in 1553 by Ciriaco Mattei, member of one of the most important patrician families. 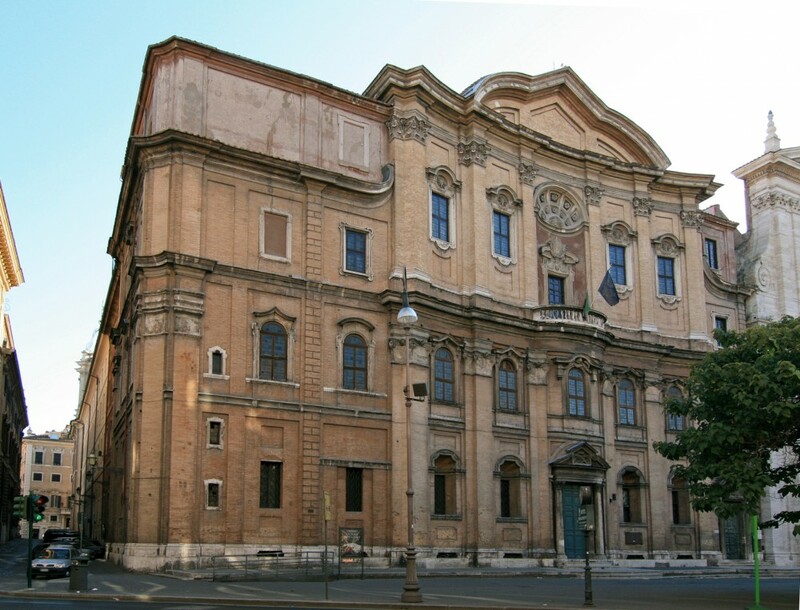 The restoration works were completed in 1558, the building of ‘Casino delle Delizie’ was entrusted to the architect Jacopo del Duca, pupil of Michelangelo. 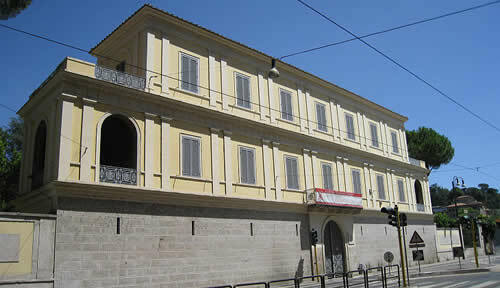 It houses the Italian Geographic Society since 1926 and preserves the largest geographic library of Italy. An original statue of Hercules stands at the entrance of The Nimph of the Aviary and recent works discovered a mosaic floor representing the ensign of Mattei Eagle. The Aviary has gone lost and only three of the spectacular fountains that once embellished the gardens, are still visible. The Villa was commissioned after 1517 by Giulio de’ Medici, future Pope Clemente VII, to various artists of the time, Raphael, Giulio Romano and Antonio da Sangallo, but the project of Raphael wasn’t accomplished due to his death and to political events of the city. 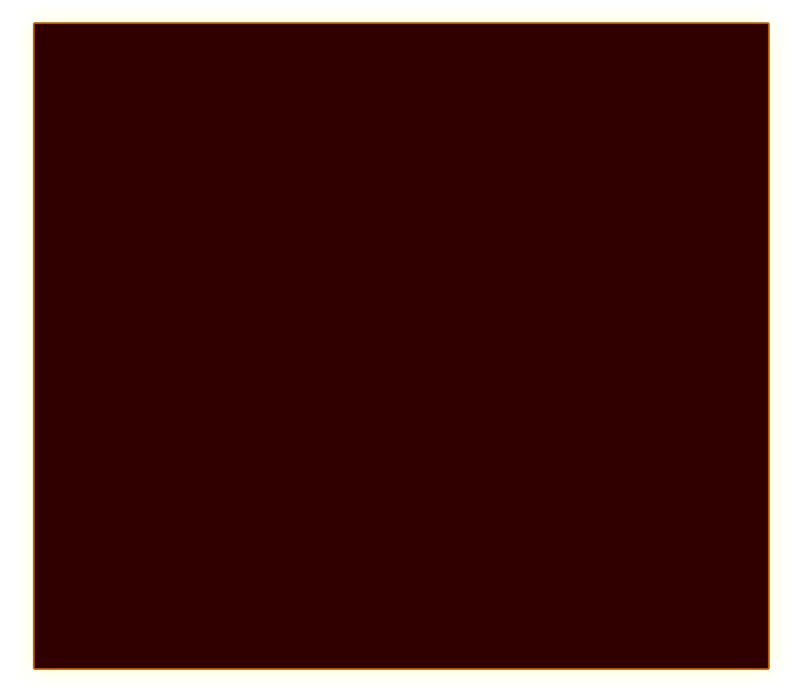 After Clemente VII death, the villa became the official residence of Margareth of Austria called ‘Madama’ and it takes the name after her. Then it was abandoned until the Earls Dentice of Frasso took the ownership of the Villa and restored it completely. Villa Madama belongs to the Italian State since 1971and it’s used for high official meetings. A spiral renaissance style staircase leads to the second floor. It recalls the stairs of Mascherino in the Quirinal Palace. The rooms still retain some of the furnishings of the time: amazing for its luxury is the large bathroom of the countess.